The dawn of a new NBA season is upon us, and the Houston Rockets can only ask themselves what could have been? 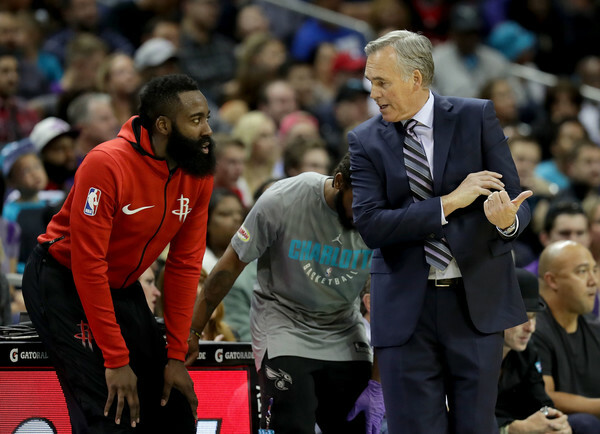 The Rockets won 65 games last season which was tops in the NBA which led to point guard James Harden being named as the league’s MVP, and head coach Mike D’Antoni being recognized as the Coach of the Year. The Rockets would then advance to the Western Conference Finals where they were able able to build a 3-2 series lead over the Golden State Warriors. The Rockets appeared poised to knock off the defending NBA Champions until point guard Chris Paul was sidelined for the final two games of the series. Golden State would take full advantage of this, and it also didn’t help the Rockets cause that they would miss 27 consecutive three-point shots in Game 7 as Houston would lose the final two contests of the series. Subsequently the Rockets had to watch the NBA Finals from home and look at the Warriors win their third title in the last four years as they had Golden State on the ropes, but could not put them away. And now as a new NBA season is here, the Rockets have tweaked their roster in the hopes of getting past the Warriors in order to win it all, but will it be enough? Last year the Rockets were second in the NBA scoring as only the Warriors scored more points per contest than they did, and you can expect Houston to still be a force to be reckoned with. Since coming under the tutelage of D’Antoni, Harden has taken his offensive game to another level. At 30.9 points per contest, Harden led the NBA in scoring last season, while his 8.8 assists per game were third. Harden is one of the best pure scorers in today’s NBA due to his ability to get to the basket. Harden also knows how to get to the free-throw line as he has averaged more than 10 shots at the charity stripe in four of the last five years. The acquisition of Paul last season really helped Harden’s game as it took some of the ball-handling load off of him. Paul has been one of the top point guards of this era as he has led the NBA in assists four times. Paul is floor general in the true definition of the term as he makes those around him better, but he cannot help the team if he is sitting on the bench while wearing a suit. Paul missed 24 games last season due to injuries, while he has not appeared in all 82 regular season games in any of the last three seasons. Paul is 33-years of age and it’ll once again be important for D’Antoni to monitor his minutes as the Rockets will be unable to win a title without him. Over the past few off-seasons, the Rockets have flirted with bringing small forward Carmelo Anthony into their fold, but this time around they finally did. Anthony has 15 years of NBA playing experience under his belt, and he has been one of the league’s better scorers. Anthony is a 10-time All-Star who has averaged 24.1 points per game for his NBA career, but he joins the Rockets with a ton of questions attached to him. Anthony is 34-years of age with a bad knee, while the only facet that he brings to the table is scoring. Throughout Anthony’s career he has also struggled to make the players around him better due to the fact that he plays plenty of “iso ball” which can destroy the flow of an offense. When Anthony initially joined the Knicks in 2011, the team was coached by D’Antoni whose ball movement philosophy on offense didn’t mesh with Anthony’s style which led to the coach getting fired. 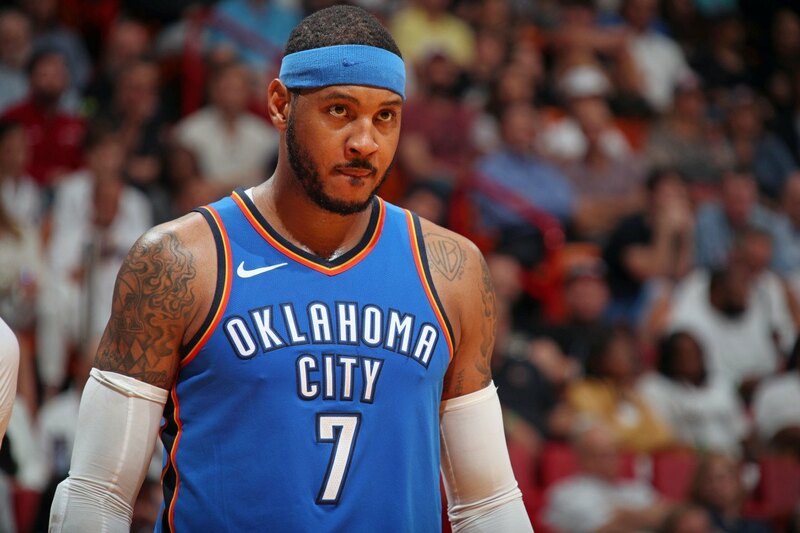 Anthony spent last season with the Oklahoma City Thunder as he showed signs of decline as he struggled to shot 40% from the field. Anthony would be better served coming off of the bench for the Rockets this season, but it will be interesting to see if he will check his ego at the door for the greater good for the team. But even though that the Rockets are a team full of star power, their role players cannot be overlooked for the impact that they will have. For the ten-year NBA career of shooting guard Eric Gordon, he has averaged 16.7 points per game, and his offensive skill set is tailor made for D’Antoni’s system. Throughout Gordon’s career he has always been a solid spot-up shooter, and his ability to light up the scoreboard means that the Rockets offense will not skip a beat when Harden needs a rest. Center Clint Capela continues to develop into a force in the middle for the Rockets as he is coming off of averaging a double-double for the first time in his career. Capela has benefited from playing with a pair of solid ball handlers in Harden and Paul who can get him the basketball close to the basket, while his ability on defense as a rim protector cuts down on easy chances for the opposition which allowed Houston to be sixth in points allowed last season. And once you factor in the contributions of shooting guard Gerald Green and small forward P.J. Tucker who both can have an impact at each end of the floor, this Rockets team is thinking about picking up where they left off at this past spring. The Rockets will once again be one of the top teams in the Western Conference, but only time will tell if they’ll be able to get past the Warriors in order to win it all. Since the San Antonio Spurs joined the NBA in 1976, you can make the argument that they’ve been the most consistent team in the league. The Spurs have only missed out on the NBA Playoffs four times, while they’ve made the postseason in each of the last 21. The Spurs have been the model franchise for professional sports, but they will head into a new NBA season with an unfamiliar label attached to them which is one of “transition”. Upon the retirement of Tim Duncan in 2016, the keys to the Spurs franchise were subsequently handed to small forward Kawhi Leonard. But unfortunately for everyone involved, there was a rift between Leonard and the Spurs over his quad injury that forced him to miss 73 games last season. And once that rift was created, it could never be patched up which led to Leonard being traded this past summer to the Toronto Raptors. But the Spurs didn’t simply trade Leonard in order to get rid of a disgruntled superstar as in exchange for him they received All-Star swingman DeMar DeRozan, power forward Jakob Poeltl, and a protected first-round pick in 2019. In acquiring DeRozan, the Spurs have gotten one of the NBA’s most explosive players on the perimeter. In nine seasons with the Raptors, DeRozan became the franchise’s all-time leading scorer, while also being a four-time NBA All-Star. DeRozan may not be the facilitator and perimeter defender that Leonard was, but what the Spurs are getting is a solid scorer who fits right into their team-oriented offense. Poeltl was the Raptors first-round pick in 2016 who has been a development project during his brief stint in the NBA. But you can argue that Poeltl was underutilized by the Raptors in regards to his ability as a perimeter scorer. In Poeltl’s last season collegiately at Utah, he was the Pac-12 Conference’s Player of the Year due to his ability as a scorer. And now under the tutelage of Spurs head coach Gregg Popovich, while also getting some seasoning from veteran center Pau Gasol, Poeltl’s perimeter game could be set to flourish which will make him a candidate to be one of this season’s breakout players. But aside from welcoming DeRozan and Poeltl to San Antonio, the Spurs must also deal with no longer having point guard Tony Parker and shooting guard Manu Ginobili in their foray. After spending the last 17 years with the Spurs, Parker left town this past summer to join the Charlotte Hornets. And aside from Parker’s passing skills on the court, it was his leadership that was invaluable to the Spurs. Ginobili spent the last 16 years with the Spurs as he along with Parker and Duncan combined to win four NBA Titles together in San Antonio. And with all of that experience no longer around, what does Popovich have up his sleeve in order keep the Spurs competitive in the Western Conference? You can expect the Spurs to incorporate DeRozan into their offense as he and power forward LaMarcus Aldridge will be their two main scoring options. Aldridge has three years under his belt with the Spurs, and although that it took some time to get adjusted to the way that Popovich expects things, he has bought into San Antonio’s philosophy. In an age where more big men are playing on the perimeter, Aldridge is one of the NBA’s best back-to-the basket players. For Aldridge’s 12-year NBA career, he has averaged 19.4 points and 8.3 rebounds, but he should be able to be a 20-point, 10-rebound contributor this season as he should have good chemistry playing with DeRozan. The Spurs were hopeful to the services of point guard Dejounte Murray as he had the makings of being a breakout player for them this season. However Murray would suffer a torn ACL just prior to the start of the Spurs season which changes their point guard situation as they now have a lack of quality ball handlers. At the age of 38, center Pau Gasol continues to get it done. Gasol may not be as explosive as he was earlier in his career, but he is still a crafty veteran that Popovich is able to rely on. Gasol is still a dependable post player who can score, rebound, and pass. Popovich is now using Gasol more as a bench player which gives the Spurs second unit more depth. And as Gasol continues to climb up the NBA’s all-time ranks in points and rebounds, San Antonio opponents cannot sleep on this veteran as he can still produce at a quality level. You have to go back to 1997 to find the last time in which the Spurs missed the playoffs. And now with everyone on the same page in San Antonio, you can expect their postseason streak to continue. After missing the NBA Playoffs in the two previous years, the New Orleans Pelicans were able to dust themselves off of the canvas in order to make the postseason this past spring. And in the playoffs, the Pelicans were not just there for a participation trophy. It was not a shock that the Pelicans were able to defeat the Portland Trail Blazers in the first round, but the surprise came in how easy that the series win came. New Orleans would dominate Portland in every facet of the game; especially at the guard position where the combination of Rajon Rondo and Jrue Holiday were too much for the Blazers backcourt of Damian Lillard and CJ McCollum. And although that the Pelicans would lose in the second round of the NBA Playoffs to the Golden State Warriors, the consensus was that the postseason experience would be something which would carry over to the new campaign for them. However everyone from last season’s Pelicans team is not along for the ride heading into the new campaign. After averaging 8.2 assists per game with the Pelicans last season and showing that he is still one of the best facilitators in the NBA, Rondo decided to leave New Orleans as a free agent in order to sign with the Los Angeles Lakers. And after the Pelicans gave up multiple draft picks to acquire All-Star center DeMarcus Cousins in 2017, they were hopeful that they would be able to re-sign him this past summer. But when Cousins suffered a ruptured Achilles tendon late last season, it changed his outlook on getting a big payday in free agency, while he shocked the entire basketball world by agreeing to join the Warriors on a one-year deal for $5 million. However for Pelicans head coach Alvin Gentry, he cannot allow his team to feel sorry themselves with the dawn of a new NBA season here. After losing two key players, New Orleans can still hang their hats on the fact that they have one of the best players in the NBA. There isn’t much that power forward Anthony Davis cannot do on the hardwood. The Pelicans made Davis the first overall pick of the NBA Draft in 2012, and he has lived up to the hype. At 6’10”, Davis is difficult to stop close to the basket, while his perimeter game has continued to improve. Davis also one of the league’s top rebounders, while he has led the NBA in blocks three times. Davis is only 25-years of age, and if he can put it all together this season, he will be in the conversation be the NBA’s MVP. Throughout Holiday’s NBA career, he has been one of the forgotten players at his position, but he is the perfect compliment to Davis. Holiday is a true point guard in the sense that he knows how to create scoring opportunities for his teammates. Holiday also knows how to score as he averaged a career-high 19 points per game last season as his ability to compliment Davis will give New Orleans one of the best inside-out combos in the Western Conference. But even though that the Pelicans lost both Rondo and Cousins free agency, they were able to make a pair of moves that will fly under the radar. Throughout the 13-year NBA career of point guard Jarrett Jack, he has always been a solid and reliable floor general. Jack might not be Rondo, but he is player who knows how to get the basketball to his teammates, while also being to play off of Davis. In four years with the Lakers, the game of power forward Julius Randle continued to improve. But when the Lakers had their sights set on signing small forward LeBron James as well as another potential All-Star caliber player over the summer, Randle was not in their long-term plans. Randle is not a consistent scoring threat, but he can play off of Davis, while he also has the ability to crash the boards which should lead to him having a big impact this season in New Orleans. As center Nikola Mirotic is entering his sixth NBA season, he continues to be one of the most underrated big men in the league. Mirotic was able to average 14.6 points last season with the Pelicans as he falls into that category of being a “stretch big” due to his ability to consistently knock down the perimeter shot. And just like it is in regards to Randle, if New Orleans opponents want to focus too much on Davis, Mirotic is another player that will make them pay due to his ability to score. There will be more eyes on the Pelicans this season as Gentry looks to help them build off of last season’s playoff run. From the start of the 2017-2018 NBA season the Memphis Grizzlies were a train wreck and they were never able to get on track. After Memphis began the season with a record of 7-4, they would lose their next 11 contests. And to make matters worse, Dave Fizdale was fired as head coach of the Grizzlies during that stretch. The Grizzlies were never healthy all season long as only one player was able to appear in all 82 games which resulted in the Grizzlies having their first 60-loss season in a decade. The Grizzlies are hopeful to turn things around heading into a new season, but it won’t be easy in the difficult Western Conference. Upon’s Fizdale’s termination last season, he was replaced by assistant coach J.B. Bickerstaff. Under Bickerstaff, the Grizzlies would go 15-48, but the team’s front office feels that going forward he is the right person to lead this team. But any chance of Bickerstaff being able to make the Grizzlies a playoff contender this season begins with having center Marc Gasol at his best. Gasol is already the Grizzlies all-time leading scorer, and although that he getting up their in age, he his vital for this franchise. Gasol is 33-years of age, but he can still score in a variety of ways as he can play the post, hit the mid-range shot, or knock down the three-pointer. And Gasol is also one of the best passers that the NBA has ever seen from the center position as he has averaged 3.3 assists for his career. The past few seasons have seen Gasol team with point guard Mike Conley Jr. be one of the better inside-out duos in the Western Conference. But Conley spent the majority of the 2017-2018 NBA in suits due to the fact that a ruptured Achilles tendon for him to miss 70 games. And Conley’s absence hurt the Grizzlies who 29th in the NBA last season in scoring. Conley turned 31-years of age earlier this month, and it will be interesting to see how his body will react to the riggers of an 82-game schedule. There are some expectations for power forward/center Jaren Jackson Jr. who was the Grizzlies first-round pick this past June. Jackson joins the Grizzlies after being named as the Big Ten Conference’s Player of the Year in his one year at Michigan State. And even though that Jackson is a big man, he possesses a smooth stroke the perimeter in the mode of his father Jaren Sr. who won an NBA Title as a member of the San Antonio Spurs in 1999. After last season’s struggles, the expectations are not that high for the Grizzlies as this could be a year of transition for them. The Grizzlies must find out if they want to give it a go with this Gasol led team, or decide if it is time for them to start over. After enjoying years of sustained success the Dallas Mavericks have regressed. The Mavericks have missed the playoffs in each of the last two years as they find themselves in rebuilding mode. The Mavericks are coming off of a 58-loss season as they were doomed from the start when they lost 10 of their first 11 contests. But the Mavericks have had themselves a good off-season which should speed up their rebuild. 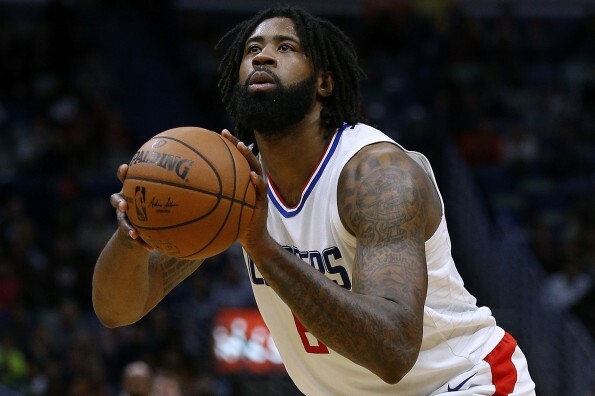 Three years ago all signs pointed to the Mavs and center DeAndre Jordan coming to an agreement on a four-year deal for $80 million. Reports surfaced that Jordan had verbally agreed to join the Mavericks, but it was his agent who brokered the deal and not him. Dallas was left with egg on its face as Jordan decided to rejoin the Los Angeles Clippers which threw a wrench into their plans. However hope springs eternal as this past summer the Mavs were able to get their man in Jordan. Jordan and the Mavericks agreed on a one-year deal this past summer which will boost the team’s presence on the boards. Last season Dallas was 27th in the NBA in rebounds per contest with 33.1 per game. And by himself Jordan tallied nearly half of that production as he averaged 15.2 rebounds per game last season with the Clippers. At 6’11” Jordan has a big frame to take up the paint which allows him to rule the boards, and this season Dallas won’t be a pushover on the glass like they were last season. 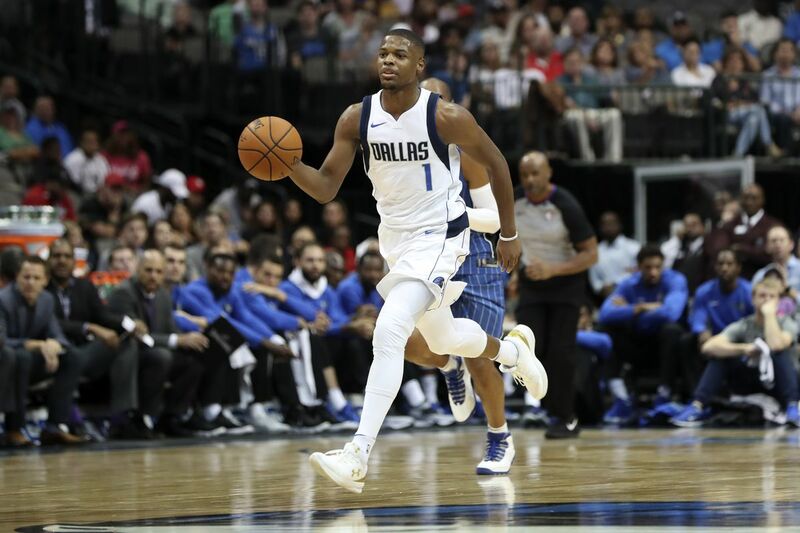 The Mavericks have been focusing on improving their team through the NBA Draft and they feel that they have their point guard of the future in Dennis Smith Jr. Last year the Mavs selected Smith ninth overall and he became one of the top rookies in the NBA as he averaged 15.2 points and 5.2 assists. Smith knows how to get his own shot, but he also knows how to create for his teammates as he is quickly emerging in regards to being the team’s best player. Dallas used this off-season to find Smith a running mate in their backcourt as they were able to attain swingman Luka Doncic. Doncic was taken third overall in this year’s NBA Draft by the Atlanta Hawks, but he was immediately traded to the Mavs who are more than happy to have him in the fray. Doncic is a 19-year old Slovenian who joins the Mavericks fresh off of being named as the EuroLeague MVP for Real Madrid. At 6’7″, Doncic can be used at either small forward or shooting guard. But in Dallas I see Doncic being used more as a shooting guard to play off of Smith, while also giving the team another ball handler and scorer. Since joining the Mavericks in 2016, small forward Harrison Barnes is showing why he was a lottery pick in 2012. Barnes has been a solid scorer for the Mavericks due to his ability to get to the basket as his skill set along with that of Smith and Doncic should allowed head coach Rick Carlisle to open up the team’s offense more this season. The Mavericks have depth on this team as shooting guard Wes Matthews continues to be one of the better perimeter defenders in the NBA, while point guard J.J. Barea is still one of the most underrated players at his position in the league. But there is one iconic figure who is still suiting up for the Mavericks and that is power forward Dirk Nowitzki. For the past two decades Nowitzki has established himself as the best player in the franchise history of the Mavericks. Nowitzki has become one of the better perimeter scorers that the NBA has ever seen in regards for a big man, and he will always be revered in the Dallas area. Nowitzki just turned 40-years of age this past June, and although his body is not what it used to be which means that he could come off of the bench this season for the Mavs, you can still expect the crafty veteran to have an impact for this team. The Mavericks have not been taking losing lying down as they are focused on turning this around. And as three of the Mavs first four opponents this season failed to make the playoffs this past spring, a fast start this spring could lead to them turning things around in order to compete in the Western Conference.